A survey to document erosion problems within the Brandy Pond Watershed began in late April of 2009 and finished in early October. Through the survey, volunteers and technical staff identified 73 erosion sites within the watershed. Although most of the sites were considered to have a low or medium impact on the pond, the cumulative impact of all these areas is sizable. 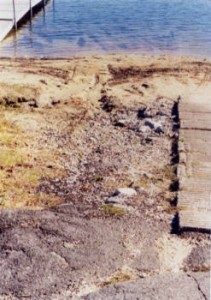 Erosion on residential property and private roads were the largest problems identified during the project. The completed survey, including maps and recommendations is now available here or at the LEA lake center. The primary purpose of this project was to significantly reduce erosion and export of sediment and phosphorus into Highland Lake. This multi-year grant, which ended in 2008, installed conservation practices that reduced erosion and polluted runoff at close to 40 sites throughout the watershed. Roads, residential areas and public lands have all been addressed. Fixes included new vegetative buffer gardens, infiltration trenches, and road work designed to improve drainage and reduce wash-outs. Landowners who participated in the project received funding for up to 50 percent of the cost of the work done. The project also hosted a series of workshops to raise awareness about watershed problems and work to foster long-term watershed stewardship. This project aimed to sig­nif­i­cantly reduce ero­sion, sed­i­ment and phos­pho­rus export into Long Lake. The grant began in the spring of 2006 and con­ser­va­tion prac­tices that reduce ero­sion and pol­luted runoff were installed at over 27 sites through­out the water­shed. Roads, beaches and res­i­den­tial prop­er­ties were worked on dur­ing the project. A Youth Con­ser­va­tion Corp (YCC) was also formed which installed best man­age­ment prac­tices on numer­ous res­i­den­tial prop­er­ties. Check out the Long Lake Youth Conservation Corp Project Summary Report to see what kind of work the team did over the sum­mer of 2007. After a very successfull volunteer-based survey of erosion sources within the Watershed, an implementation plan aimed at correcting the identified problems began. The project worked on numerous residential sites within the watershed and larger-scale conservation practices were also installed on Whiting Avenue,Camp McWain and Mill Hill Road. To view a copy of the survey’s findings click on: McWain Watershed Report. In the spring of 2007, LEA worked with the Island Pond Association and Fiddlehead Consulting to conduct a survey of erosion sites within the pond’s 1243 acre watershed. As part of the project, volunteers and technical staff identified 47 erosion sites that are having a negative impact on the pond. Most of the sites documented were on town roads and residential properties. The report includes a brief description, location information and recommendations on how to correct each problem. In addition to documenting erosion, the project served as an educational tool for citizens to learn about water quality and how our activities affect ponds and lakes. 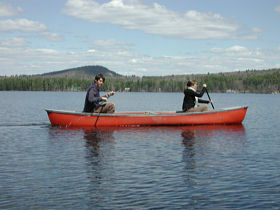 To view a copy of the recent survey click on: Island Pond Watershed Survey. After a successful survey of the watershed to identify erosion sites and raise public awareness about water quality problems, LEA partnered with the Hancock and Sand Pond Association and Cumberland County Soil and Water Conservation District to correct some of the highest priority sites that were found. 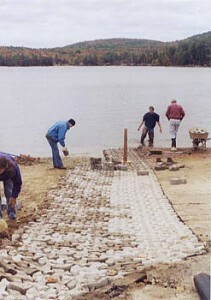 Through this grant, large conservation practices were installed on the West Shore Road, Wabanaki Road and Sand Pond Way. A significant portion of the grant was also used to address problems associated with residential properties. The Keoka Lake Watershed Project involved surveying, documenting and then fixing areas within the Keoka Lake Watershed that were eroding and causing a negative impact on Keoka’s water quality. During the survey portion, volunteers from the Keoka Lake Association and residents from within the watershed as well as staff from the Department of Environmental Protection, the Soil and Water Conservation District and LEA helped locate, map out and document 65 sites where erosion was occuring. This information was then compiled into the Keoka Lake survey report which functions as a landowner handbook and reference for future mitigation work. Based on evaluations made in the survey, priority sites were chosen and then construction and mitigation work began on these sites to correct ongoing erosion. As part of this project, water quality improvements were completed on Plummer Hill Road, Mill Hill Road, the Johnson Road, Loon Echo Drive, Kimball Trail, Keoka Campground, the Hawk Mountain access road, at the boat launch and on individual lots. The photos below show work that was done at the Keoka boat launch in Waterford Flat. A TMDL is a detailed watershed report with land use information and phosphorus loading estimates for a specific lake. The acronym TMDL stands for “Total Maximum Daily Load” and for Maine lakes it is used as a tool to assess and reduce phosphorus loading from within the entire watershed. 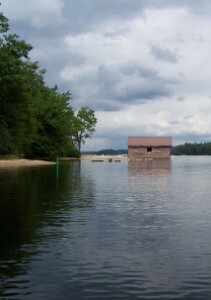 Working with the Maine Association of Conservation Districts and Maine Department of Environmental Protection, LEA helped compile, organize and write TMDLs for Highland Lake and Long Lake. The non-regulatory reports are intended to serve as a platform for future implementation work and watershed planning. It can also be used to compliment comprehensive planning updates. In addition to the land use inventory and phosphorus loading estimates, the reports contain water quality, fishery and soils information, a shoreline survey and recommendations for future best management practices in the watershed. 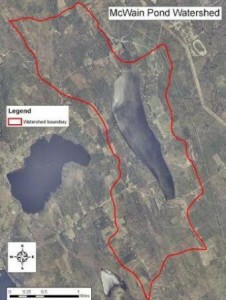 The completed Highland Lake and Long Lake TMDLs are available and can be viewed online through the Maine DEP website at Highland Lake TMDL or Long Lake TMDL. 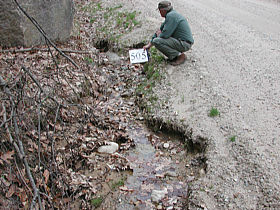 This watershed survey began in the spring of 2011 and finished March 2012. Like many of the surveys that LEA has participated in, this project involved identifying and documenting erosion sites within the watershed. However, unlike past surveys, a riparian (shoreline) corridor survey was also undertaken because of the importance this area plays in protecting the Crooked River’s high value land-locked salmon and brook trout fisheries. More than a dozen organizations partnered together to complete a survey of the watershed which stretches from southern Bethel in the north to Naples in the South. From the land-based survey, 164 sites were identified as problems. The riparian survey identified 20 problem sites. To read more about this project please check out the full Crooked River Report and the Crooked River Riparian Corridor Survey. It had been on our minds for some time: we needed a three-dimensional watershed model, something that could illustrate what a watershed really is and how topography and landscape determine water flow in the real world. But we didn’t want just any old watershed model. We didn’t want a fictitious landscape; we wanted it to be accurate and pertinent to our area. But where was LEA going to get something like that? We checked Renys, but they didn’t have one. We were just going to have to build one. With the help of numerous volunteers, we undertook the project. First, we picked an area to focus on. The Holt Pond watershed immediately seemed like a good spot, but we wanted more. Why not add on the Adams Pond watershed and the Foster Pond watershed? 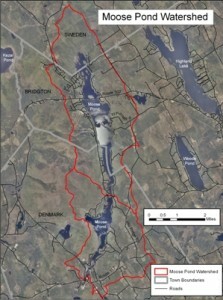 Both of those watersheds are immediately adjacent to the Holt Pond watershed and eventually drain to Holt Pond. With the area picked, we planned the construction of the model. 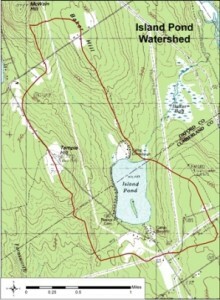 Using GIS computer mapping, we created a map that contained only contour lines (showing elevation) and the three ponds in the area. Next, we projected this image through transparency paper onto pieces of 1-inch foam board. We then began tracing the contours on the foam board. Each piece of foam board represented one contour line. We cut the foam board along 80-foot contour lines and stacked it according to elevation. We glued the pieces together and then sanded and rasped the foam to pick up contours that we did not cut out (if we had cut a 1-inch piece of board for every 10-foot contour line, the model would look more like the Rocky Mountains than South Bridgton). We then smoothed the remaining transitions over with a light-weight spackel. After mounting it on a wood base and priming the model, we began painting it. Forest green served as the base color with a light blue for the ponds. We poured the lakes in using fiberglass resin. We hung the model on the wall and brought out the overhead projector again. This time we projected aerial photographs onto the model. Using actual photos allowed us to put fields, wetlands, roads, and forested areas onto the model with a high degree of accuracy. 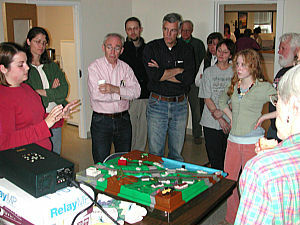 The construction of the model served as a creative exercise in problem solving for area high school students, volunteers, and staff. 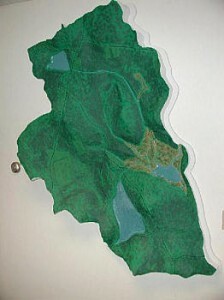 The model is located on the first floor of LEA’s Bradley Lake Center in Bridgton where it is used as an educational display. Come stop by LEA and check it out! Special thanks to Dan Bishop, Zach Von Hasseln, Adam Perron, Jesse Logan Cottingham and Stan Cohen for their help in the creation of the model.